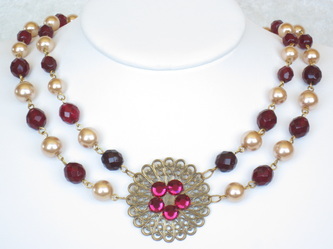 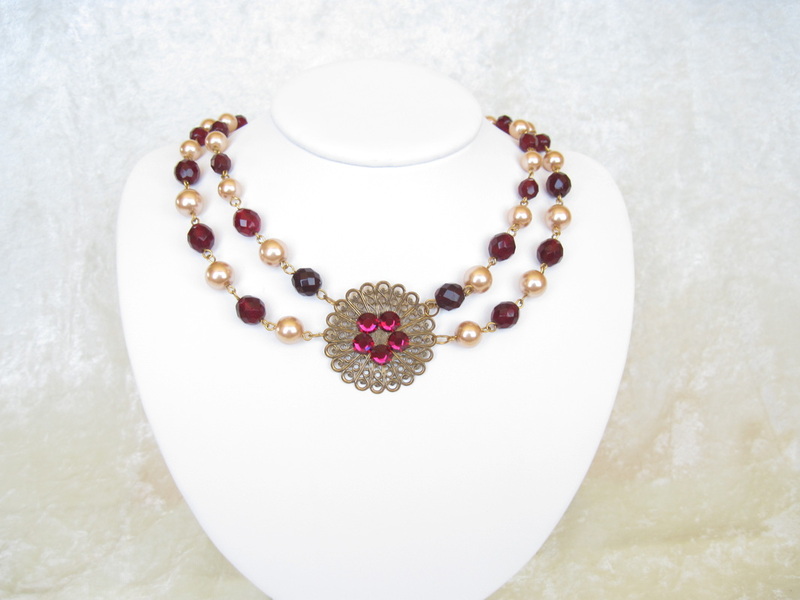 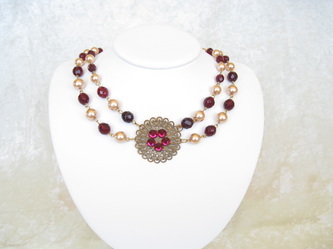 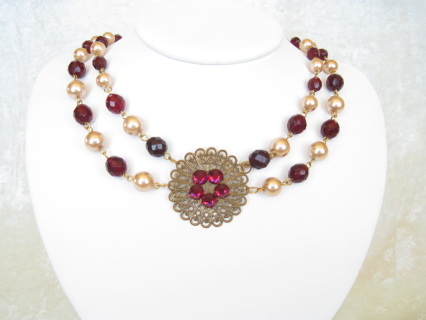 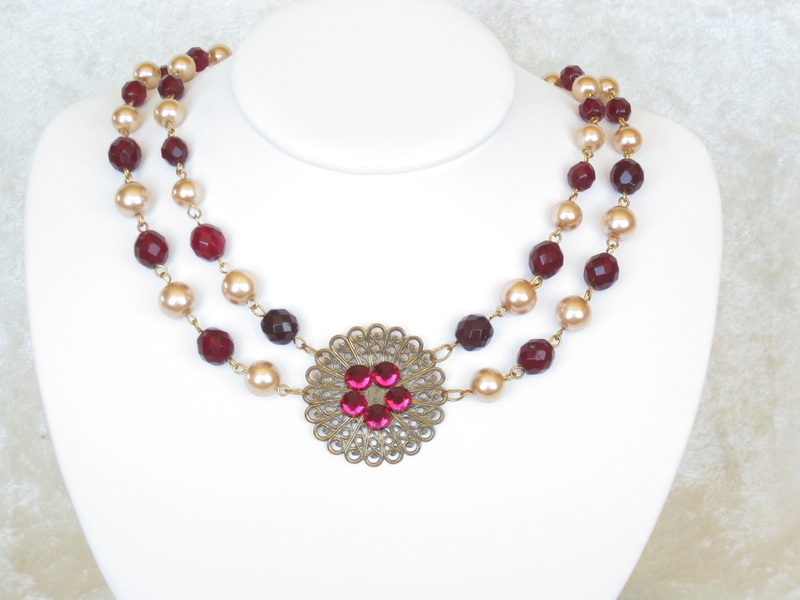 A glittering confection of ruby red Czech glass and bronze-tone glass pearls - sure to sweep you away to the extravagant days of the Medieval royal courts! A single filigree medallion with five glinting rhinestones is the focal point while deepest ruby red faceted Czech beads, and lustrous bronze-tone glass pearls ring your neck in style. 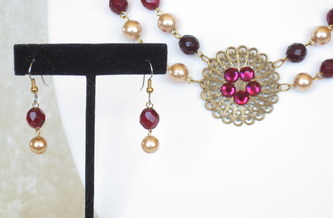 The necklace measures 17" to sit above your Tudor gown's neckline; the matched earrings dangle 1" below surgical steel French ear wires. 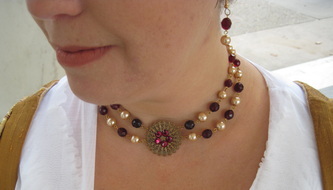 A hit at any RenFaire!